Executive Profiles - About Us | Allen & Graham, Inc.
Phil Allen, who co-founded Allen & Graham, Inc. in 1985, directs and manages many of the firm’s day-to-day operations in addition to having overall responsibility for the company’s strategic direction and growth. He received a Bachelor of Civil Engineering from Georgia Tech and a Master of Business Administration from Georgia State University. Mr. Allen is a 1991 graduate of the Advanced Management School of the Associated General Contractors of America. He has been a registered professional engineer since 1977. Prior to co-founding Allen & Graham, Mr. Allen held managerial and executive positions with Georgia Power Co. and Milton J. Wood Company. He has served as a Director of the Georgia branch of the Associated General Contractors and was Chairman of the Safety and Health Committee. Mr. Allen is a former Trustee & Secretary, Southeastern Carpenters & Millwrights Health & Welfare Fund as well as the Southeastern Carpenters & Millwrights Pension Fund. He has served as President of the Glynn Builders Association, Chairman of the Tech-Georgia Development Fund for Southeast Georgia, and manager of the Georgia Tech Alumni of Southeast Georgia. Mr. Allen holds General Contractor and Utility Contractor licenses in the state of Georgia. Bruce Moore directs training, long-range planning, corporate operations, labor relations and is senior estimator and project manager. 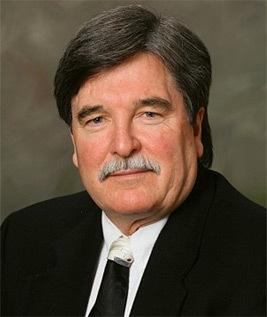 He received a Bachelor of Building Construction from the University of Florida in 1976. Mr. Moore has held General Contractor’s licenses in the states of Florida, South Carolina and North Carolina, a Florida Mechanical 'B' license, as well as licenses as a Florida Real Estate Associate, Florida Home Inspector, and Florida Mortgage Broker. Mr. Moore was Vice President with Milton J. Wood Company where he developed a branch office and fabrication shop in central Florida and was responsible for all operations and customer development. Mr. Moore took five years off to recover from an accident before joining Allen & Graham, Inc. in 2005. Chris Allen oversees estimating and project management for Allen & Graham, Inc., and is also involved in sales and accounting functions of the company. 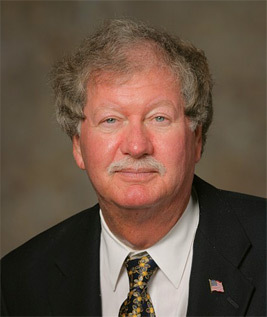 He attended Coastal Georgia Community College and Georgia Southern University and has completed the Associated General Contractors Advanced Management course, as well as numerous construction-related courses. Mr. Allen holds a General Contractors license in the states of South Carolina and North Carolina. Mr. Allen has extensive construction experience for his age, with more than 10 years of field experience and 10 years in the office primarily in estimating and project management. He has successfully managed several multi-million dollar projects. Andrew is a graduate in Construction Management from Georgia Southern University and has 10 years of construction experience. Ben is a Civil Engineering graduate of Georgia Tech who has 10 years experience in construction-related fields. Vick has a degree in Business Administration in Management from Georgia Southern University and over 8 years experience in construction. Parker is a Mechanical Engineering graduate of Tennessee Tech and has experience in construction, paper mill and consulting engineering work. He has over 35 years in related fields. Terry has over 40 years experience in construction. He has OSHA 10 and 30, and has completed numerous AGC Construction Safety Competency Training courses. 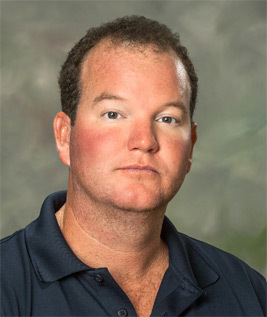 Benjamin has a degree is Business Administration from Georgia Southern University and 10 years construction experience. Pam has a degree in Business Administration (Accounting) and more than 30 years experience in construction accounting. David, who heads up all field personnel, has over 40 years of experience. He has an OSHA 10, 30, and 510 and has completed numerous AGC Construction Safety Competency Training courses. David is also NPDES Certified in Permit Requirements, Site Inspections & Water Control for construction sites.